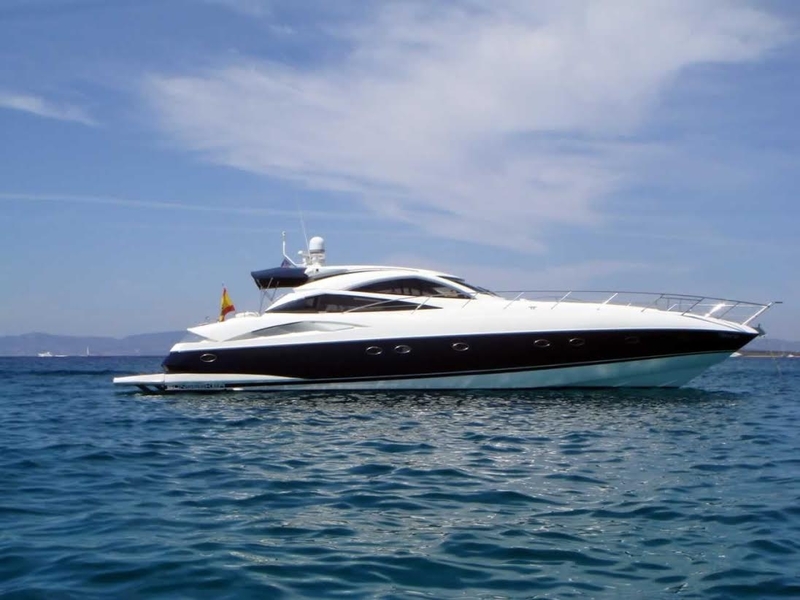 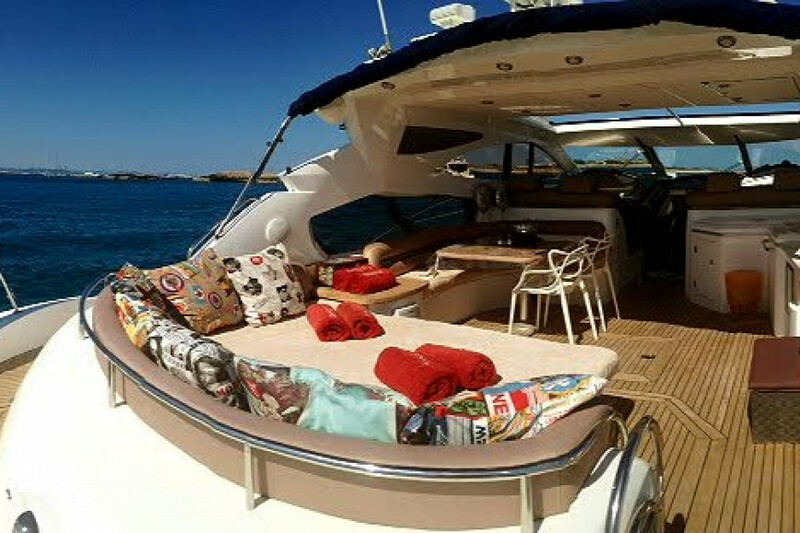 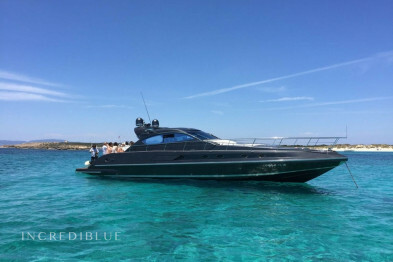 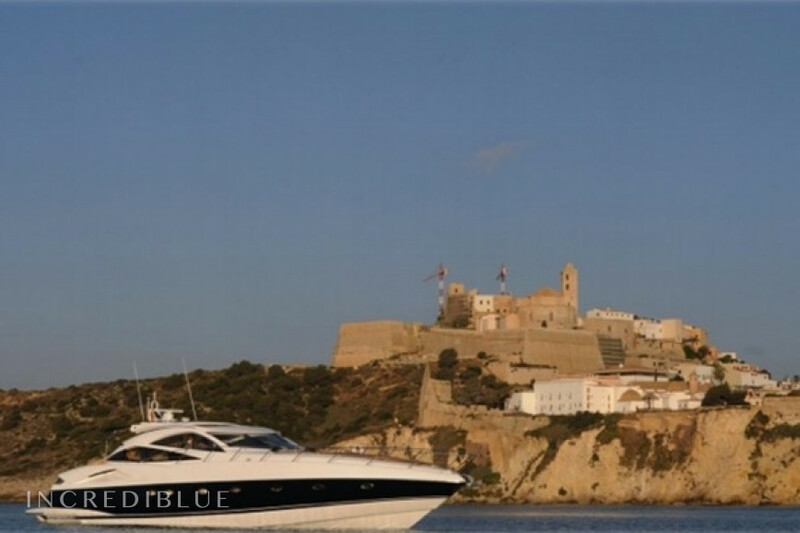 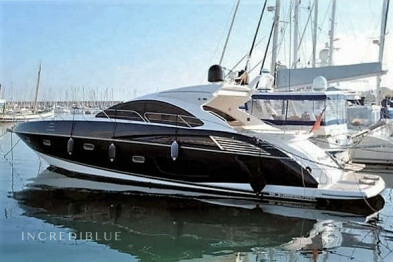 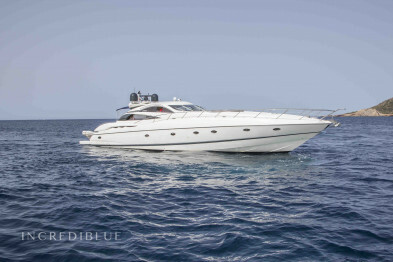 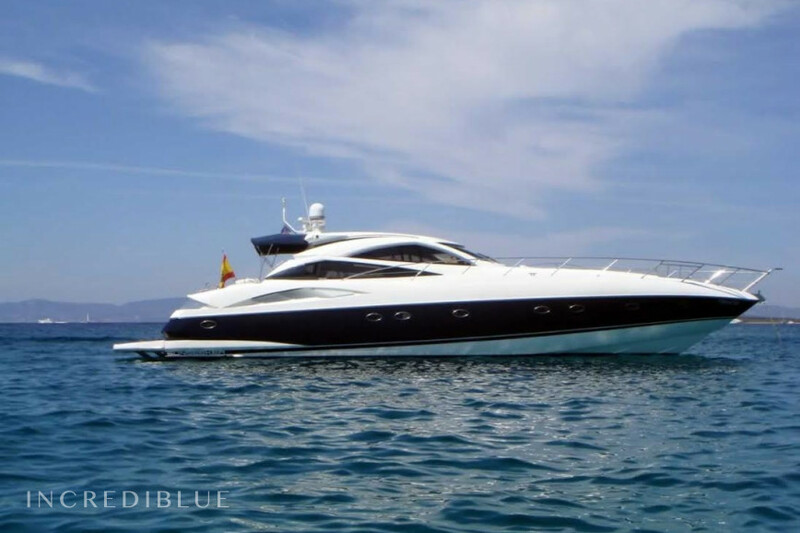 Rent a lovely yacht Predator 68 in Ibiza for 12 people + 2 crew and 4 +2 people spending the night crew. 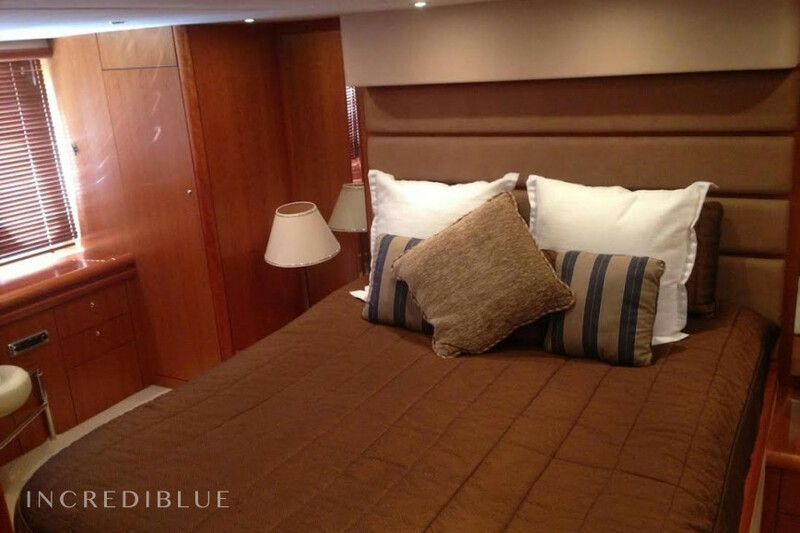 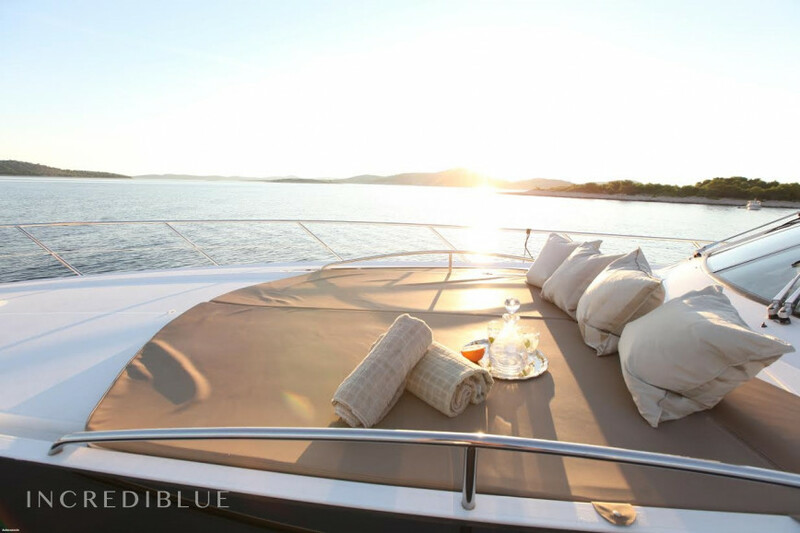 It has 3 very well equipped and 3 bathrooms and with its length of almost 22 meters elegant staterooms, get a great habitability and a large space both inside and outside. 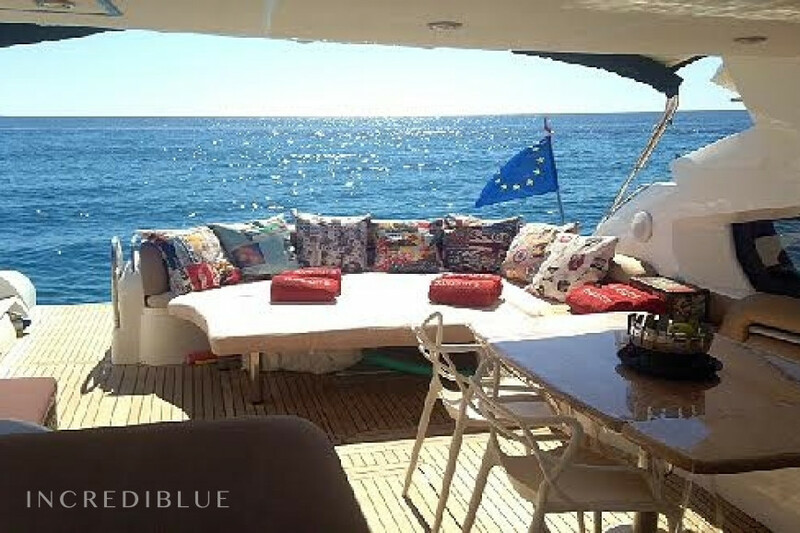 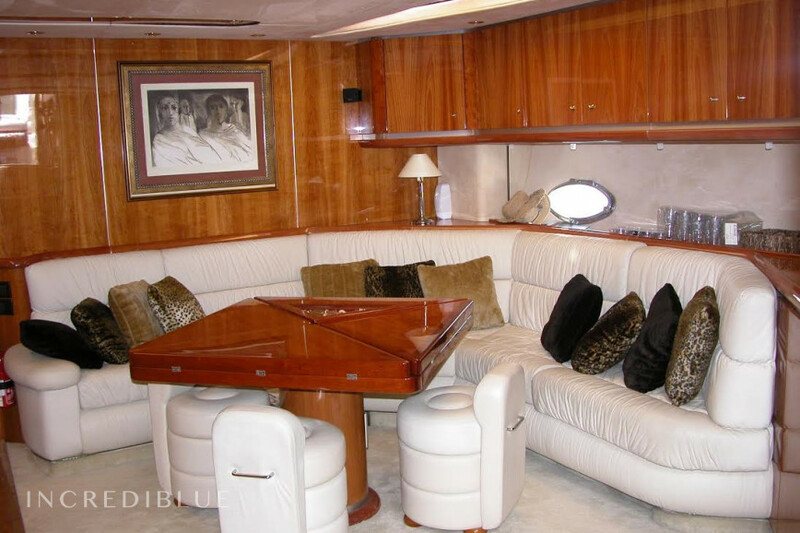 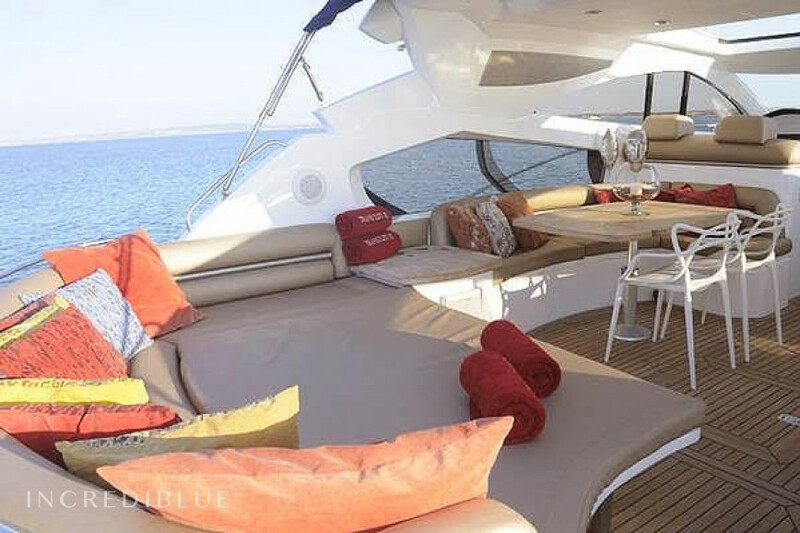 With its large stern with sofas and tables, it provides a sense of freedom and spaciousness that guarantees total relaxation watching the coast and the sea. 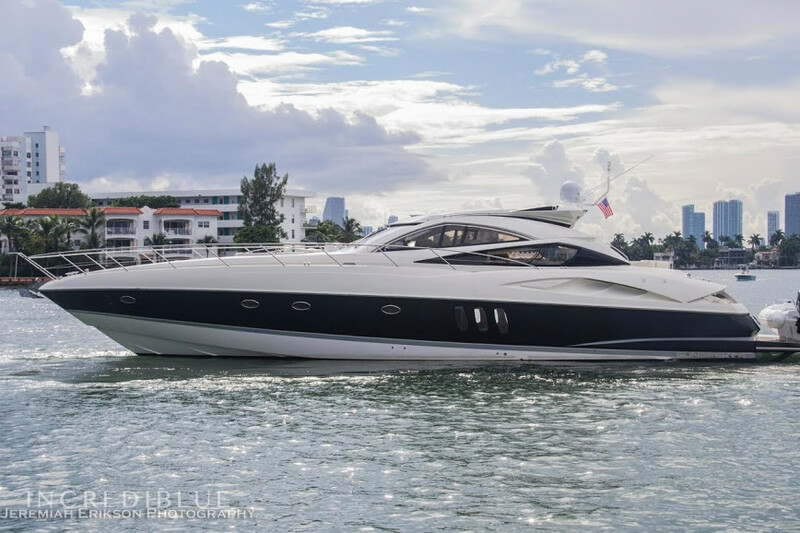 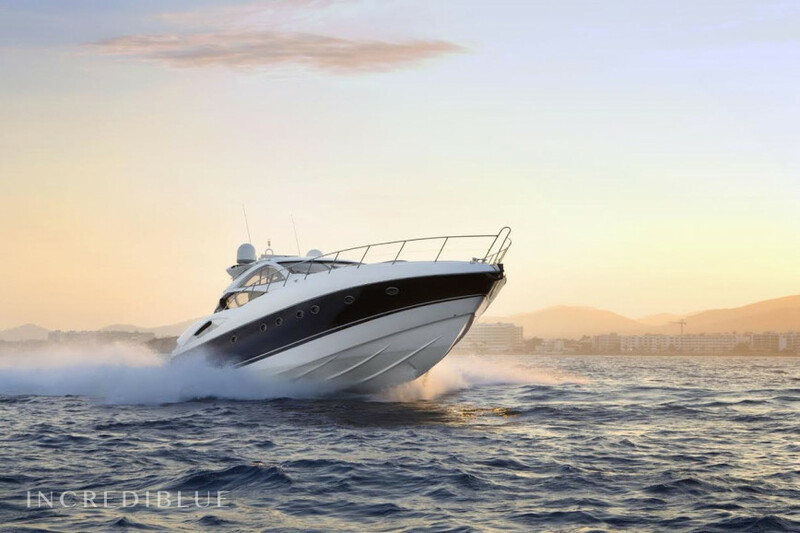 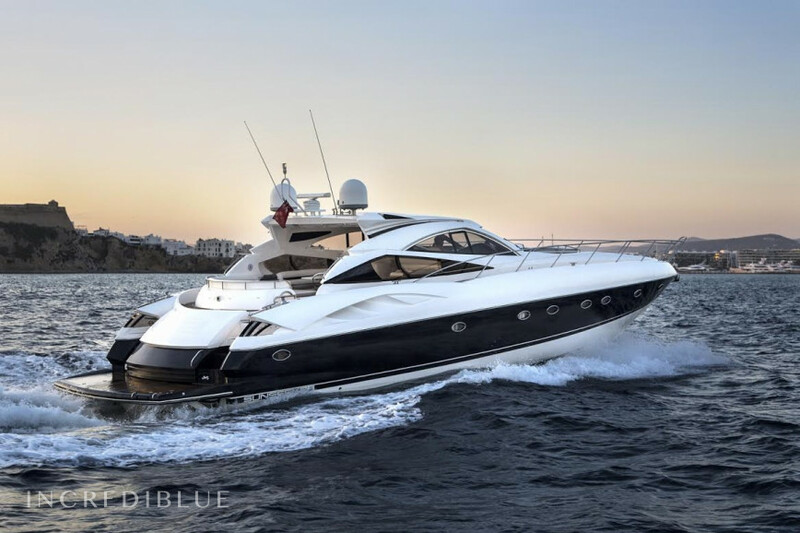 Moreover, with its two engines 1300 hp each, allowing you to reach a top speed of almost 40 knots. 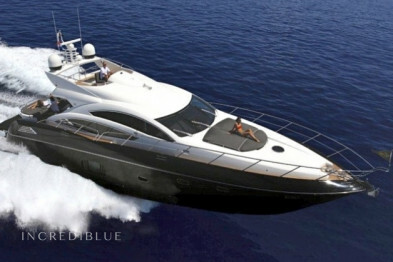 It has a capacity of 800 liters fresh water and a fuel capacity of 3900 liters. 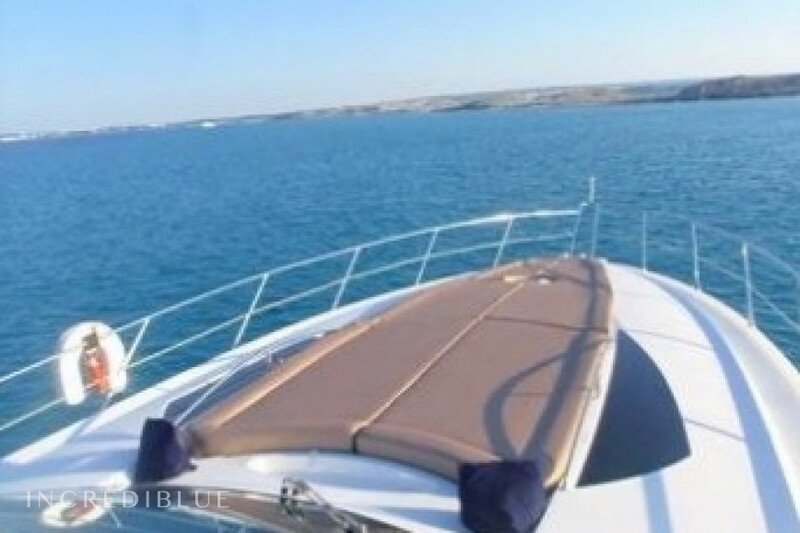 Rent this boat to be at home while browsing.